During the world’s worst nuclear disaster at the Chernobyl nuclear power plant in 1986, Belarus, lying 16km from Chernobyl was hit brutally hard by the catastrophic fallout. 66% of the territory of Belarus was contaminated with cesium-137. In response, the Belarussian government set up an exclusion zone around their contaminated territory for decades. Only now, they have decided to open it to those holding permits and accompanied by a representative from the Belarussian government. Luckily, YPT have been pioneering travel to nuclear exclusion zones for the past decade and we can get you inside. You simply submit a copy of your passport and we go through our contacts and take care of all the paperwork. Belarus, itself a very closed off country until recently, now has a handy 30 day visa free entry for a vast number of countries provided you enter and exit via Minsk airport. Arrival in Minsk at your own leisure and check into Hotel Belarus, a Soviet hotel with Western comforts. Meetup in the evening to head to a local brewery restaurant with great local food and beer. Enjoy a hearty breakfast at hotel Belarus. Check out and store baggage at the hotel. Our first destination today will be the incredible Azgur Museum. 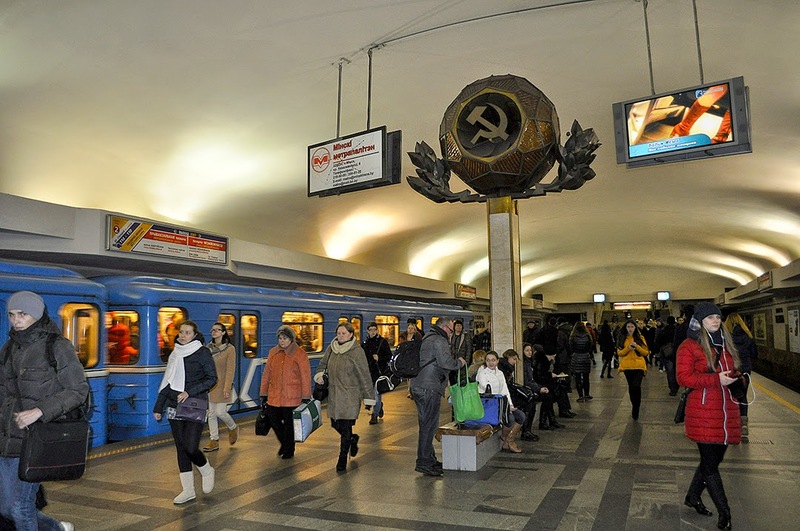 A place for lovers of Soviet statues and nostalgia. This huge room used to be the workshop of Soviet sculptor Zair Azgur, and there are still hundreds of different sizes busts of Soviet and Communist leaders staring down at you as you walk around. 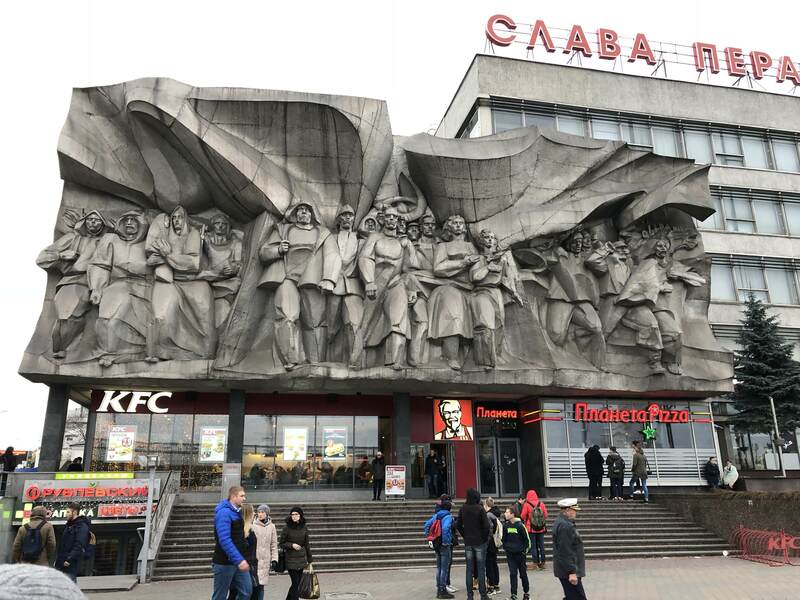 Beginning at Lenin Square, we’ll then take a Soviet walking tour of the centre of Minsk, strolling the length of Independence Avenue past the KGB building and many other iconic Soviet landmarks. We’ll even enter the apartment of JFK’s assassin: Lee Harvey Oswald. If time permits, we’ll also visit the Belarussian WW2 museum, a well designed museum featuring a trove of tanks, weaponry and harrowing WW2 history of the region. We’ll then return to the hotel to collect our bags and board the night train to Gomel. On arrival in Gomel, we will transfer to the Belarusian exclusion zone and after clearing the checkpoints with our permits we will enter the Polesie State Radioecological Reserve, where we will learn about the real consequences of the nuclear disaster at the Chernobyl nuclear power plant, you will be amazed by nature diversity caused by the absence of human intervention and will be able to examine the radiation background with an accompanying expert guide. The main objective of our trip is to get acquainted with the activities of the Polesie State Radioecological Reserve, to learn about radiation contamination issues with the scientific staff of the reserve, as well as to monitor the flora and fauna of the territories where human activity was almost completely terminated. You will be surprised how quickly nature has recovered: for 30 years of human absence, the reserve’s territory was inhabited by the Przhevalsky horse, and the number of bison here is one of the highest in Belarus. Thanks to the ban on hunting in the exclusion zone, the number of wolves and ungulates has also recovered. Our route is built due to the lowest dosimeter indicators, which makes our stay at the territory of the reserve safe. We will visit the villages inhabited by those brave enough to return to the exclusion zone and live full time, the Pripyat river, whose shores are still littered with abandoned boats, Soviet relics, eerie abandoned cemeteries and Soviet industrial buildings. 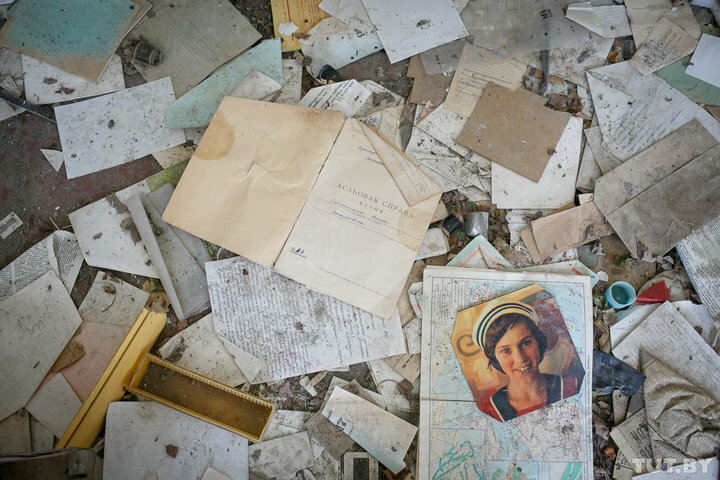 You will have the chance to visit many of the 96 abandoned Belarusian villages in the zone. Before the disaster, over 22,000 people lived throughout these settlements. After exploring the zone and clearing radiation control, we’ll transfer back to the train station for the night train back to Minsk. Morning arrival in Minsk and end of tour. Onward travel or tour extras can be arranged. Visit Minsk, the capital of Belarus and definitely still pretty Soviet! Be amongst the first to visit the Belarussian side of Chernobyl!